ERIC DEGGANS | Journalist. Author. Pundit. Public Speaker. – ERIC DEGGANS | Journalist. Author. Pundit. Public Speaker. and media analyst at MSNBC/NBC News. Village Voice and many other outlets. the Tom Joyner Morning Show and many other outlets. online technology and much more. At a time when political candidates leverage fear of immigrants and Muslims into votes while the nation debates issues of policing and people of color, the need for media coverage more finely attuned to race and prejudice could not be more clear. But instead of informing audiences, many of the fastest-growing news programs and media platforms are playing on old prejudices and deep rooted fears to compete for increasingly narrow audiences. Using the same tactics once employed to mobilize political parties, they send fans coded messages and demonize opposing groups as their audience share soars and website traffic ticks up. Race-baiter is a term born out of this tumultuous climate, coined by the conservative media to describe a person who uses racial tensions to arouse the passion and ire of a particular demographic. Even as the election of the first black president forces us all to reevaluate how we think about race, gender, culture, and class lines, some areas of modern media are working hard to push the same old buttons of conflict and division for new purposes. 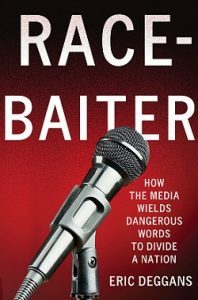 In Race-Baiter, veteran journalist and media critic Eric Deggans dissects the powerful ways modern media feeds fears, prejudices, and hate, while also tracing the history of the word and its consequences, intended or otherwise. 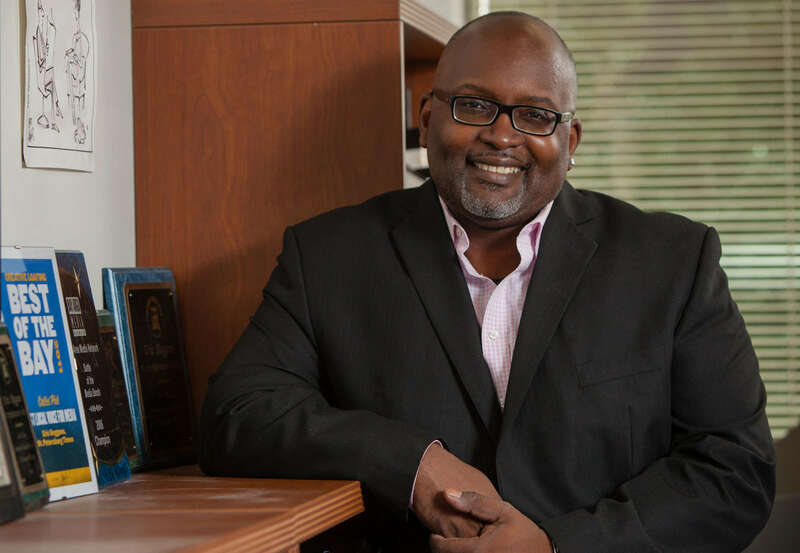 Eric Deggans is NPR’s first full-time TV critic. He came to NPR from the Tampa Bay Times newspaper in Florida, where he served as TV/Media Critic and in other roles for nearly 20 years. He also serves as a contributor and media analyst at MSNBC/NBC News. 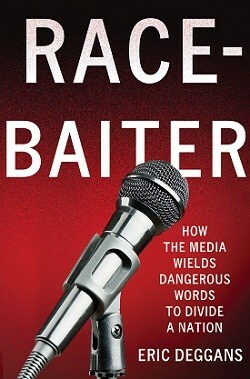 A journalist for more than 20 years, he is also the author of Race-Baiter: How the Media Wields Dangerous Words to Divide a Nation, a look at how prejudice, racism and sexism fuels some elements of modern media, published in October 2012 by Palgrave Macmillan. He has guest hosted CNN’s media analysis show Reliable Sources many times, joining a select group of journalists and media critics filling in for departed host Howard Kurtz. In 2013, he was awarded the Florida Press Club’s first-ever Diversity award, honoring his coverage of issues involving race and media. 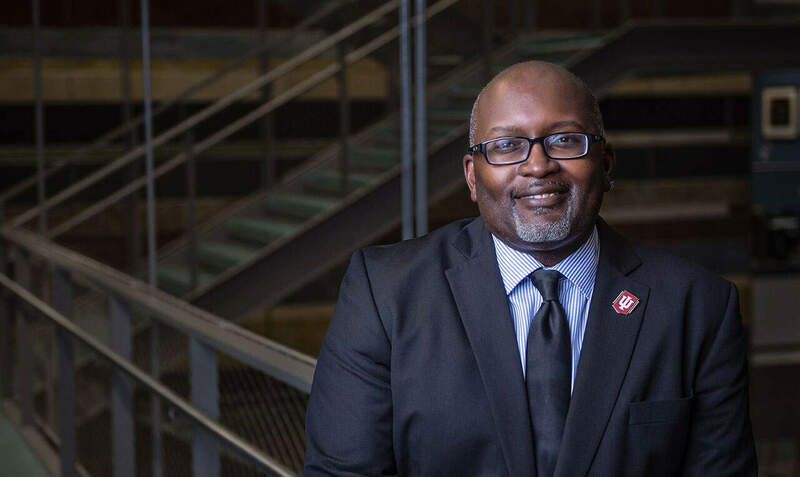 That year, he also received the Legacy award from the National Association of Black Journalists’ A&E Task Force, an honor bestowed to “seasoned A&E journalists who are at the top of their careers.” Eric also serves on the board of educators, journalists and media experts who select the George Foster Peabody Awards for excellence in electronic media. Eric is the first full-time TV critic for National Public Radio. 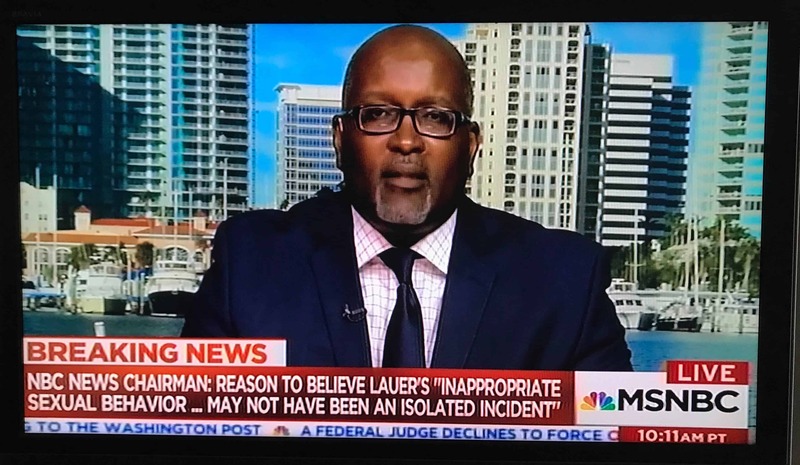 He served as TV/Media Critic for the Tampa Bay Times, guest host of CNN’s Reliable Sources and freelance contributor to Salon, Huffington Post, and CNN.com. 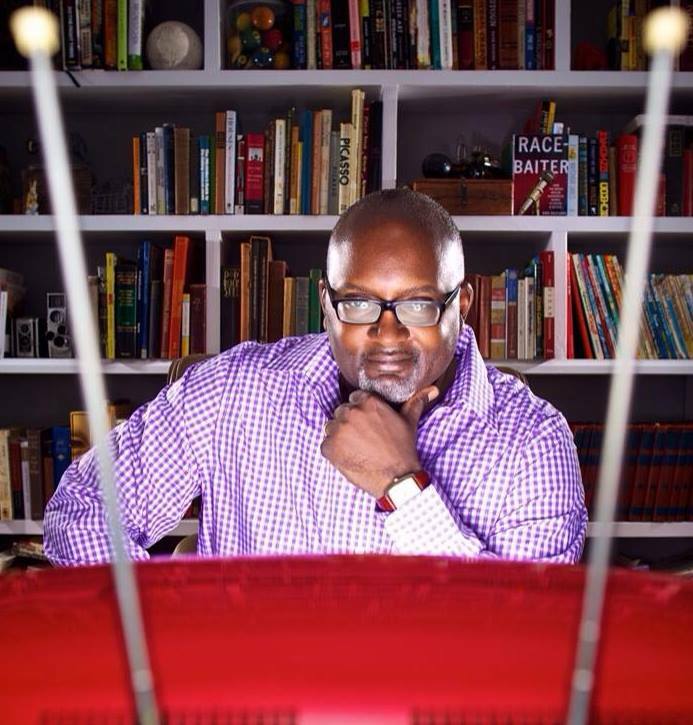 Eric has appeared as a pundit and expert on CNN, MSNBC, Fox News Channel, PBS’ The NewsHour, the Tom Joyner Morning Show and many other outlets. In Race-Baiter, Eric dissects the powerful ways modern media feeds fears, prejudices, and hate, while also tracing the history of the word and its consequences, intended or otherwise. 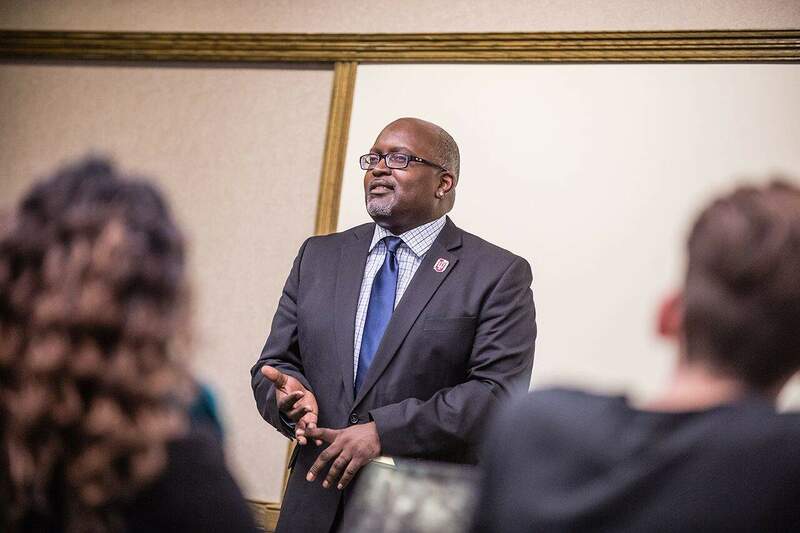 Eric is available as a keynote speaker, instructor and thought leader on a wide range of topics, including: race issues, media, pop culture, social media, brand identity, music, online technology and much more. Copyright © 2016 Eric Deggans | 727-642-8907 | eric.deggans@gmail.com St. Petersburg Web Design by IDME.